Northwest Film Forum's annual showcase of Northwest filmmaking returns with Seattle premieres, parties, and the best in local emerging film talent from Sept 28 – Oct 4. 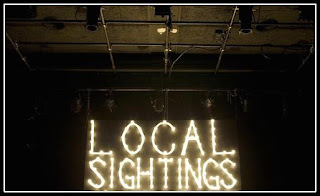 Northwest Film Forum proudly presents the 15th edition of the Local Sightings Film Festival, from September 28 – October 4 at 1515 12th Avenue in Seattle. Local Sightings is the Northwest's premier showcase of new films, putting homegrown talent in front of Seattle audiences and connecting artists from Alaska to Oregon in a week-long celebration of filmmaking from the region. The festival is unique in its focus on emerging Northwest artists and an important platform for national industry scouts looking for strong new work. In 2012, Local Sightings was named "best film festival" by the Seattle Weekly. Opening the festival is International Sign for Choking, by Olympia-based director Zach Weintraub. Choking is Weintraub's second feature, shot on location in Buenos Aires and already attracting critical attention, including a plug from Variety critic Robert Koehler who dubbed the project “something of a hipster Ozu film.” The film is paired with the opening short Green and Blue Lovers by emerging filmmaker Jimmy Bontatibus. Bontatibus has been a regular volunteer with Northwest Film Forum since age 14; this is his first professionally released film, premiering at Local Sightings. Closing night is Off Label by Portland filmmakers Michael Palmieri and Donal Mosher, a gripping documentary exposé of the modern pharmaceutical industry. Off Label premiered at the Tribeca Film Festival in 2012, after winning the first annual Northwest Film Fund award. Northwest Film Forum's Film Fund supports excellent Northwest-based documentary film projects by awarding a cash grant of $10,000+ and a package of services to the winning filmmaker(s). 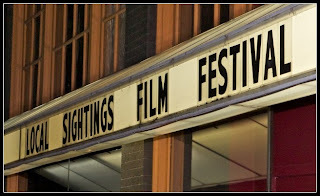 The 2012 Northwest Film Fund grant winner will be announced at Local Sightings closing night on October 4. Juried prizes at this year's festival include cash awards for best feature and short, announced on closing night. 2012 festival jurors include Patrick Wang, an acclaimed director on Filmmaker Magazine's current list of 25 New Faces of Independent Film, whose first feature In the Family was nominated for an Independent Spirit Award; and Xan Aranda, an award-winning filmmaker affiliated with the documentary powerhouse Kartemquin Films, whose first feature Andrew Bird: Fever Year had its world premiere at the New York Film Festival. In addition to a slate of new feature films, documentaries and shorts, this year's Local Sightings program also includes nightly artist conversations, a late-night lounge, an installation of new artwork from the Seattle Experimental Animation Team (SEAT) and the first Seattle Film Summit, a state-of-the-industry conference for emerging local filmmakers. Program director Adam Sekuler says "the artisanal nature of the Pacific Northwest's cinematic terroir is on glorious display in this year's Local Sightings program. A handcrafted ethic of quality and place has long dominated our region's film output, and we certainly see it in this year's offerings." On the subject of Northwest Film Forum's support to local artists, Seattle-based filmmaker Michael Harring recalls "for the past ten years, the Northwest Film Forum has helped me with grants to make my films, but the most unique way they helped me was. . .when I talked with Joe Swanberg, a filmmaker and Local Sightings judge, in the lobby of the Film Forum. I really only intended to tell him how much I admired his work. I never expected that our conversation would end with me offering him the part and he seriously considering it. I got lucky, sure, but you need that opportunity before you can get lucky and thatʼs what the Film Forum provides." 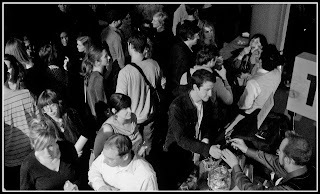 Individual event tickets and festival passes are available for $10/$100 general public, $6/$60 for Film Forum members. They can be purchased beginning September 7 by phone at 1 800 838 3006, or online at nwfilmforum.org. Northwest Film Forum is Seattle's premiere film arts organization, screening over 200 independently made and classic films annually, offering a year-round schedule of filmmaking classes (including summer camps for youth), and supporting filmmakers at all stages of their careers. More information is available at nwfilmforum.org. Raiders of the Lost Ark - IMAX?